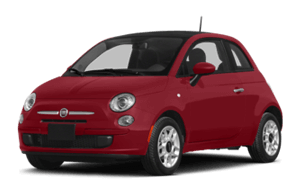 Check out our specials on FIAT models. 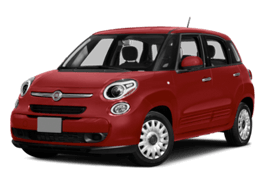 We offer a wide selection of FIAT models. The All-New 2017 FIAT® 500X boldly enters the crossover market with innovation, functionality and Italian style. 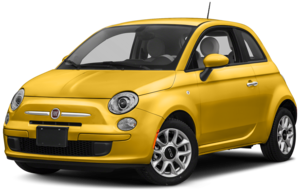 Our designers and engineers took the FIAT 500 and added more space, utility, driver-centric amenities, capability and advanced safety and security features. Five trim levels let you choose your personal style. The FIAT 500X Street Series includes the Pop, Easy and Lounge models. 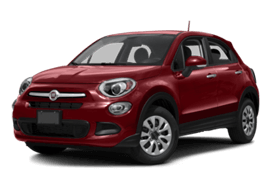 The FIAT 500X Trekking and Trekking Plus models feature a more athletic look. 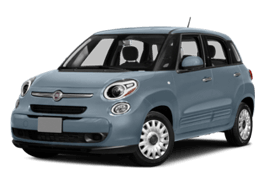 The FIAT® 500L helps bring more interior space, more doors, more passengers, more fun and more life. 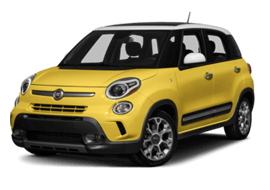 Featuring expansive views with minimal obstructions of the outside world, and clever technology like the Uconnect® System for the inside, the FIAT 500L is sophisticated, fun and defined by exceptional contemporary Italian design. Your FIAT® 500 Sport defines a whole new direction in personal transportation. City-friendly proportions and hit-the-open-road capabilities mirror your passion for diversity and help feed your need for exhilarating adventure. Originally introduced in 1966, the FIAT® 124 Spider is back with a vengeance. With the turbo engine and a powerful four-cylinder, the FIAT 124 Spider pays homage to its European racing heritage. Beautiful Italian styling accented by luxurious finishes will turn heads at every corner. Inspiration for adventure comes standard on every FIAT 124 Spider. 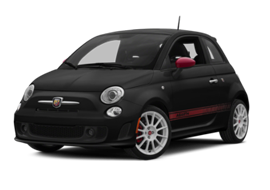 Every piece of the FIAT® 500 Abarth drives desire. The 1.4L 16V MultiAir® turbo four-cylinder engine fed by twin forced air intercooler inlets produces 160 horsepower and 170 pound-feet of torque for adrenaline-pumping performance. a period of cultural milestones, the compact, beautifully designed 1957 FIAT Nuova 500 represented a new idea and brought transportation to everyone. 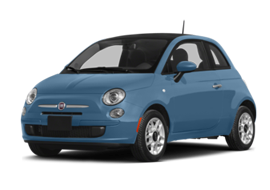 Today, the transcendent style of this authentic original lives in two retro-modern automobiles—the new 2017 FIAT 500c 1957 Edition with a power-retractable soft top and the 2017 FIAT 500 1957 Edition with a classic hardtop hatchback. Three weeks ago I bought a new 2018 Fiat 124 Spider Abarth from Fiat of Tacoma. It was a great experience. While I researched and decided on what type of car and equipment I wanted, my salesman John Valentine, diligently followed up, trying to facilitate the process. Once I was ready to buy we zeroed in on a specific vehicle we were able to agree on a price online. I have bought 30 vehicles over my lifetime: I was impressed with my experience with Fiat of Tacoma's and, in particular John's attention and straightforward approach throughout the entire process. 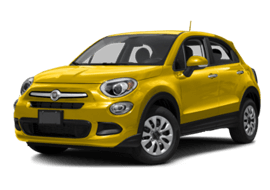 If you are shopping for a vehicle give Fiat of Tacoma a shot. I absolutely enjoyed taking my car into Fiat. They have the best customer service in town. My oil change was done within no time. And it was a pleasant visit. This my my car’s home for service! Service is great! Best customer service! Special thanks to Samantha @ the Service Reception Desk, for always taking care of me and my car! Thanks! After two years of use, my Fiat 500 needed a sensor replaced. The service department was quick to diagnose the problem, order the part in and do the replacement. Throughout the process Samantha kept me informed of the progress. I was delighted with the service and love my car. South 38th Street & South Tacoma Way – The Intersection of Savings!